we've all been there before. We get a new printer, wireless router, mobile device, laptop, or desktop pc and we bring it home to connect it to our home network and then it will not connect. we've been there and we hate when it happens. the last thing you want to do is call someone for help. we get it. but, luckily, that's what we're here for. we can come and install your printer, wireless router, mobile device, laptop or desktop connected to your network. or, we can come install the whole gambit of devices you have. we love help our residential clients. nothing is to far fetched for our team of expert computer repair & PC repair guru's in birmingham, al. give us a call today and let us help you with adding that pesky wireless printer, adding an access point, installing a new laptop or desktop pc to your network. we'll get ya fixed up. we promise. Yes, you read that correctly. On-Site. Flat Rate. Virus Removal. 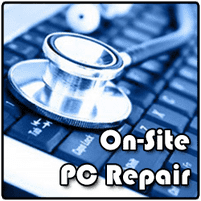 You see, unlike other Computer Repair & PC Repair Service companies here in Birmingham, AL Central I.T. LLC will come to your home or office and only charge you one LOW FLAT RATE virus removal. Most other companies will have a minimum "One Hour" price then charge you additional hours or increments for however long they're there. WE only charge you one FLAT RATE PRICE of $95 for a Full Virus Removal if we come on-site. Yep, that's right. No additional hourly charge. Or, if you want us to remote in - we us a safe and secure method of Go To Assist - (But, you must have internet access). Then we can remotely remove the virus from your computer or PC for $75. We will not have access to your PC after we are done and you can go about your business Free & Clear. We've been removing viruses and malware from computers for over 15 years. We have a complete understanding of how to remove them. If you have any questions please feel free to contact us before hand and we'll explain everything in more detail. Flat Rate Virus Removal. You read right. One Price. One Flat Fee at your home or office. Or, remotely. We'll even give you a 30 day warranty on each fix. Some exclusions apply. We can upgrade your RAM, Hard Drive, or anything else you may want. Wired Networking (ethernet connection in additonal rooms on site) $95 per location. ​Central I.T. LLC's flat rate computer repair or pc repair service has no hidden charges and no small print to trick you into paying more for services you need. If you're home is in need of a flat rate virus removal or computer repair service Central I.T. LLC has the IT tools and protection you need at affordable prices. We’ll work hard to keep you satisfied and make sure your data is safe, protected, and accessible. Flat Rate Computer repair services for residential clients in Birmingham, AL is perfect for everyone. Don’t let an computer repair disaster or virus scare you. Save money with central i.t. llc's computer repair & PC Repair by hiring an expert from central I.T. computer repair & pc repair and see why we're the BEST COMPUTER & PC REPAIR GUYS IN BIRMINGHAM, AL. 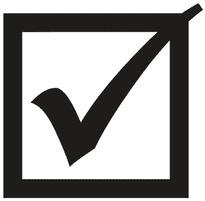 for remote virus removal we will log in and determine if we need to come on-site. if we need to come on-site there will be no remote session charge. We love saving our customers money! Check us out and see why we're the best computer repair & pc Repair guys in birmingham, AL!